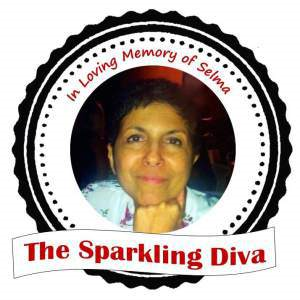 I have been very fortunate to have met Selma of Selma’s Table through our Fiesta Friday Virtual Party. An excellent cook and a very passionate blogger, she has always left encouraging comments in my posts. She has co-hosted Fiesta Fridays numerous times, and readily offered her expert advice on everything related to cooking. A quick tour of her blog reveals her extensive knowledge, generosity in sharing and her very kind heart. Her recipes are usually accompanied by a cute story that revolves around her family and mostly her son. Sometimes, I have just read the story and skipped the recipe! In her blog, I particularly like her Tips and Tricks section which I found very useful. 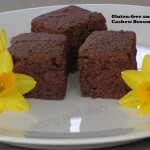 I will be visiting her Recipes page to make a vegan version of her novel cakes. I came to know of her demise early this month after a long battle with cancer. Even recently when I started to follow her on twitter, she sent me a warm message. Her passing has come as a shock to all the bloggers who have been associated with her in the virtual world. 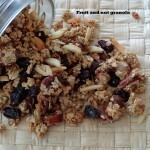 Here’s a simple granola that I made yesterday and decided to dedicate it to Selma at Fiesta Fridays #77. A crunchy snack that doubles as a great breakfast; with a hint of sourness from applesauce, the flavor of pure maple syrup and all the omega-3 boost from walnuts. Note: You could replace maple syrup with honey if you cannot find it. The whole batch that I made disappeared in less than a day, it was so well liked! 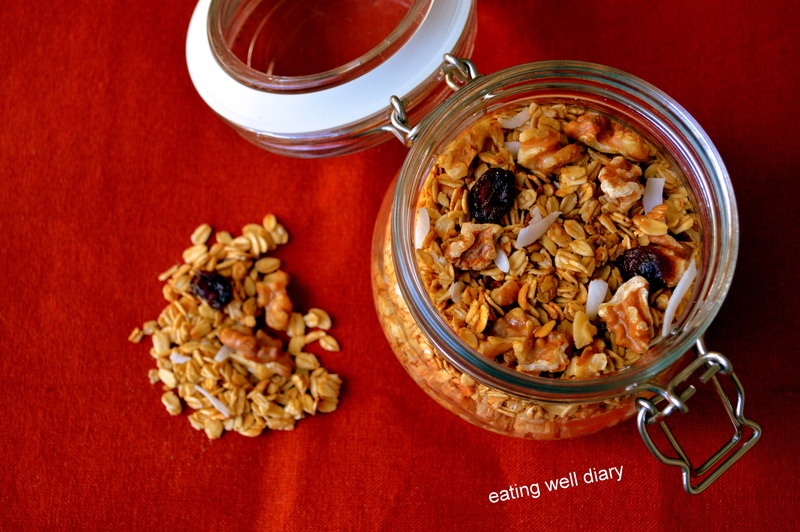 And seriously, making your own granola is super easy and saves so much money! coconut shavings (desiccated)- 2 tbsp. 2. In a mixing bowl, combine applesauce, maple syrup, coconut oil. Add oats to it and mix to coat evenly. Sprinkle sea salt and fold in walnuts. 3. Spread on a baking sheet lined with parchment paper. 4. Bake for 15 minutes. Remove from oven and shake it around with a spatula. 5. Add desiccated coconut and bake for 10 more minutes or till crisp. Add dried cranberries. 6. Allow to cool completely before storing in an airtight jar. Enjoy plain or with milk/yogurt of choice. 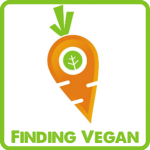 Sharing this at the Plant-based Link Up #54 at Deborah’s Urban Naturale. Thanks, Elaine. Yes, Selma will be always remembered through her work. Apsara, I am touched by the manner in which you see the goodness in others and the warm thoughtful manner in which you are able to note and speak about others. This speaks a lot about you. Your post tells me what a wonderful person Selma must have been. How I wish I had met her. The granola looks awesome. Something i’ve not tried my hand at yet, but now encouraged to. Thank you for sharing. Glad you like this post, Anu. Even though I never met Selma, I feel like I knew her a lot just through my blogging journey. 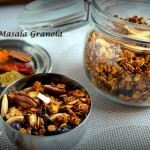 Do try making granola, you’re sure to enjoy it! Aww, thanks Angie. I should thank you for making FF happen, otherwise I may not have ‘met’ Selma! thank you for the amazing granola! we are happy you joined us in honoring Selma. I too really enjoyed her Tips and Tricks, in fact she has saved dozen of avocados for me with her avocado tip! You’re right, Selma will be in our hearts forever. Thank you, dear. I could eat this everyday! 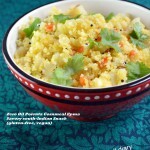 Who can resist this healthy, delectable dish! 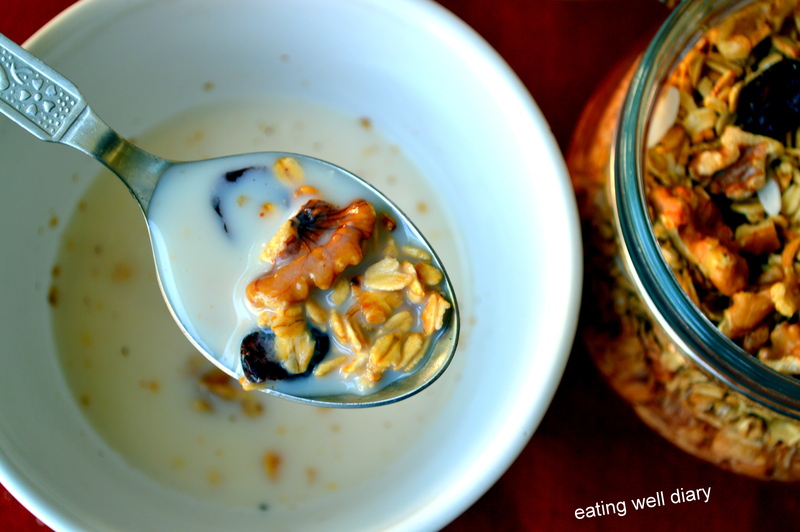 Thanks for sharing your Maple and Walnut Granola recipe with us on the Plant-Based Potluck Party Blog Hop. I’m pinning and sharing.